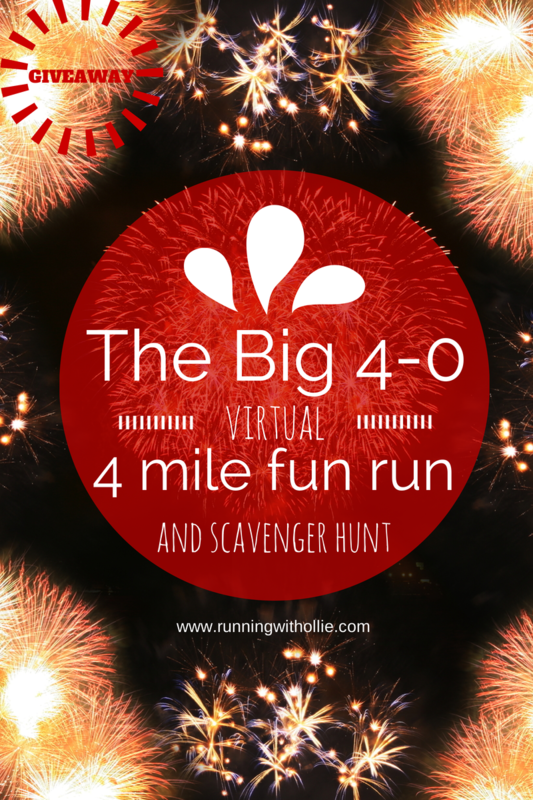 I'd love it if you would celebrate with me by running (walking or crawling) the BIG 4-0 virtual four mile fun run and scavenger hunt! I've been working hard around the clock (except when I am getting my required 8-9 hours of old lady sleep) to round up the best giveaway sponsors who are offering amazing prizes that all participants will have the chance to win! 11 Sponsors. 14 Prizes. 14 Winners. No Entry Fee. Fun and Free! 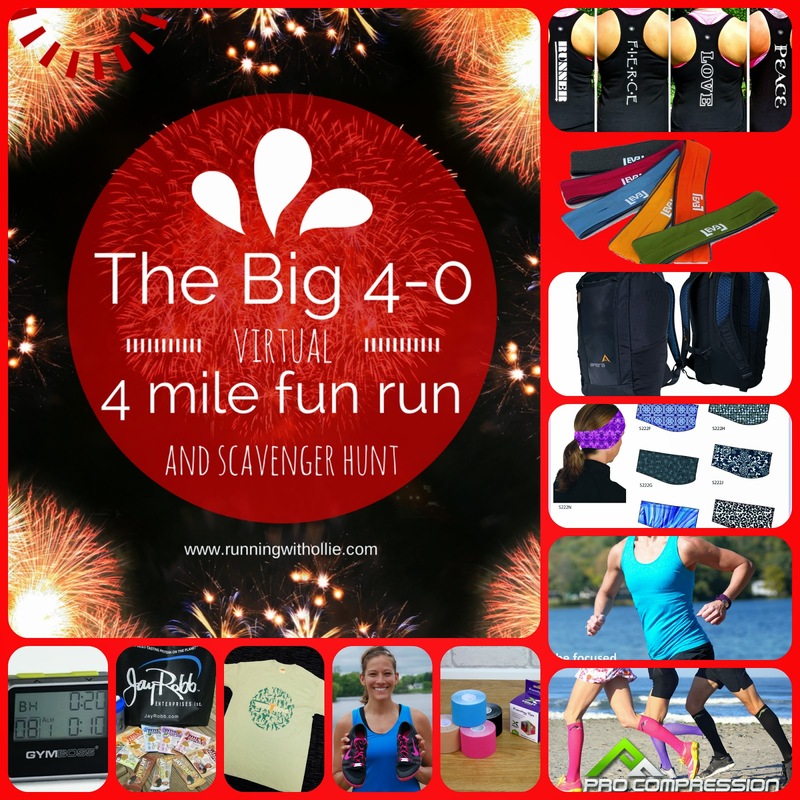 Disclosure: These awesome sponsors have generously offered samples and prizes for the Big 4-0 virtual four mile fun run, scavenger hunt, and giveaway. All opinions are my own and I am under no obligation to recommend any particular company or item. Some of these links are affiliate links, which means I may make a very small percentage if you decide to click and buy, which helps support the maintenance of this blog. But of course, no purchase is necessary to participate in the virtual event or to enter the giveaway. These brands were hand picked by me because I genuinely love them and think you will too. What is a virtual run, you say? A virtual run can be completed at any location! Run it on the streets in your neighborhood, on the treadmill, or even at an local organized race. You run in your own area and report back online to join in on the fun with hundreds of runners all over the country. You can learn more about virtual racing by reading my Guide to Virtual Racing. Run (walk or crawl) four miles wherever you are to virtually participate in the Big 4-0 fun run. There are no rules, no pace requirements, no pressure. Virtual runs are the best! There are no parking hassles and no long lines at the porta potty. Just get out there and get four miles in however you can! The winners aren't the fastest runners. The winners are the luckiest (via random drawing). Download your virtual race bib now by clicking on the image to enlarge it, then print. Or download your race bib here. 01113 = Ollie. Get it? Bring your camera and take a few pictures of the things you see along your race route. Share with the world what is unique, beautiful, and what makes you happy about your runs (or walks)! 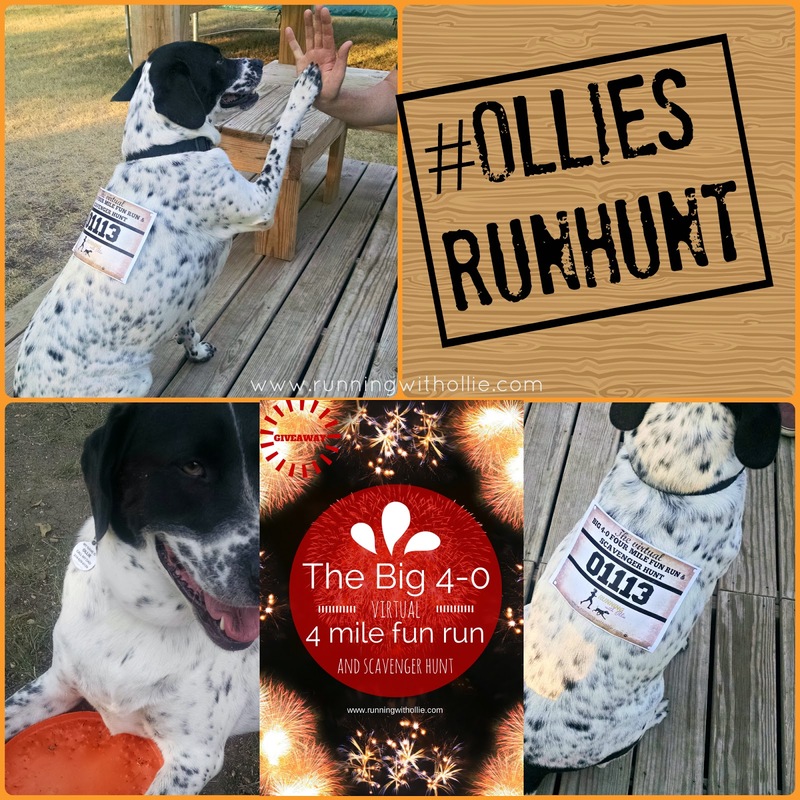 Use the hashtag #OlliesRunHunt to tag your pictures and share on Instagram or Twitter. Here is what to look for on your run to complete the scavenger hunt! 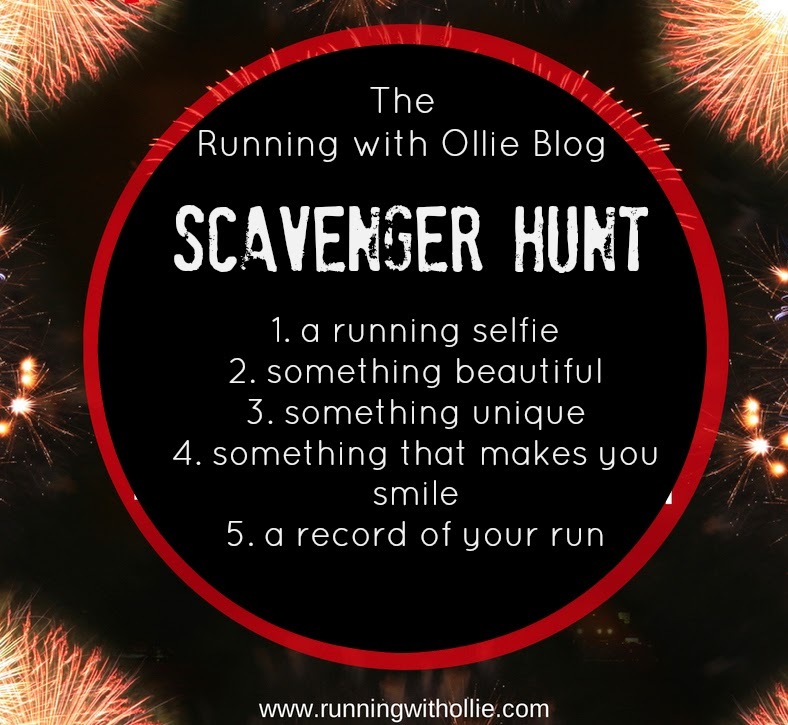 Don't forget to hashtag #OlliesRunHunt your scavenger hunt finds! The winners will be randomly selected from entries on Rafflecopter. There are tons of ways to earn entries, but the only required entry is the blog comment! Complete as many or as few entries as you would like. Complete them all to get the most entries, or just choose the ones that interest you the most. Let's take a look at our amazing sponsors. It is my birthday, but the giveaway gifts are for you! I am beside myself with the amazing prizes I have for you! Your choice between a Motivate Wrap or Foot Notes shoe charm. Sometimes it's the little reminders that we need. It's the mantras we repeat in our heads during our workouts, on our runs, or sitting in our cubicle in spreadsheet hell (just me?). I look at my wrist every day and I am reminded to "live with passion." It's a physical reminder of my goals. What little reminder do you need? They have a ton of sayings to choose from! 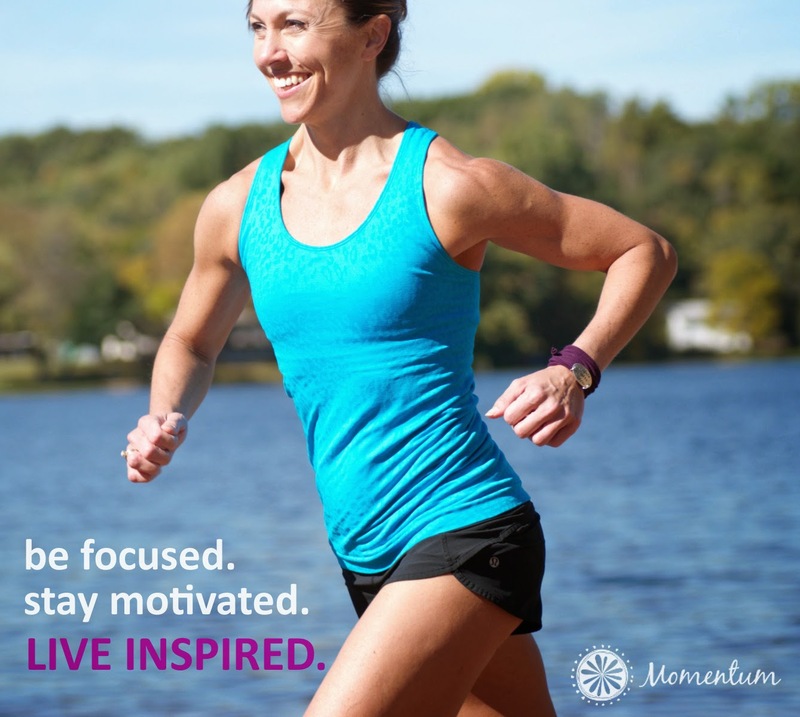 Momentum jewelry encourages you with the designs that move you. Your choice of tank and yoga pant! Shine Athletica is a local Fort Worth start up. I am all about supporting local business and love to meet people who are living their dreams! Shine Athletica embodies everything I love about heath, fitness, and fashion. And it doesn't hurt that their workout apparel is wicked cute. Prize ships from Shine Athletica. 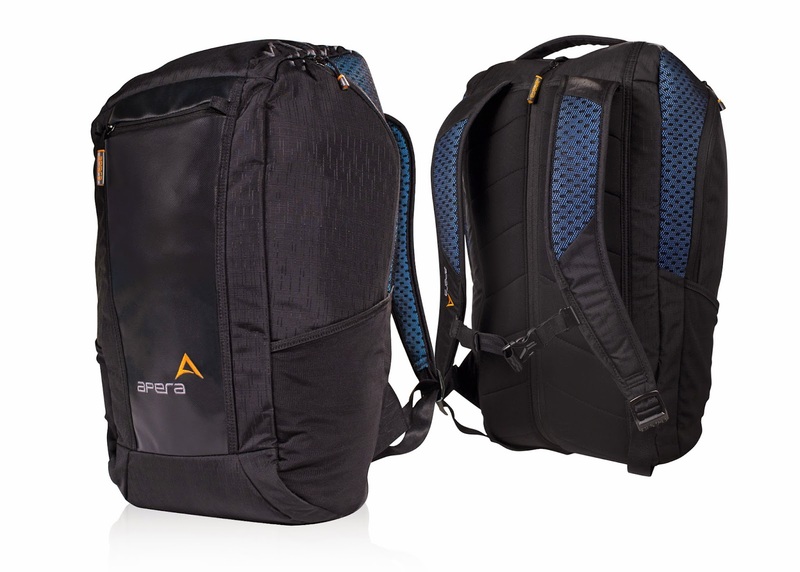 Your choice of Apera Duffle pack in black, blue or pearl! I personally use an Apera duffle and can't stop raving about it (to anyone who will listen). It's the perfect mash up of fashion and function (and health with their anti-microbroial properties). I adore this bag. If you win one, you will adore it too. Your choice of size and color. 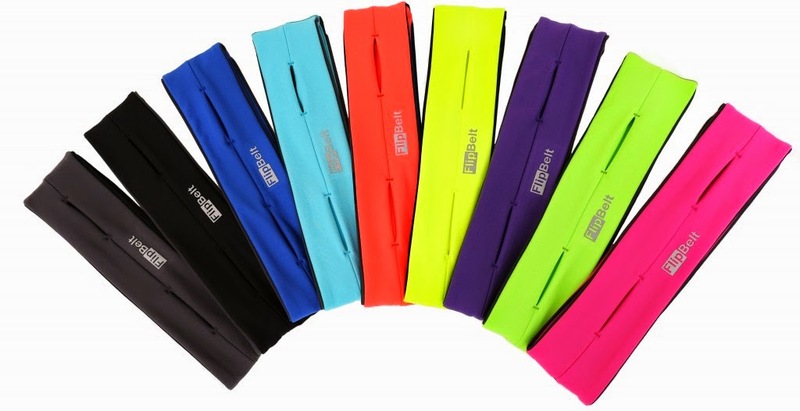 Ever since I did a review of the FlipBelt a last year, I've been an unofficial FlipBelt cheerleader. It solves the age old problem: What the heck do I do with all my stuff while I run and still look cool? Flipbelt is a sleek tubular belt that expands nicely to hold all your essentials without bouncing around during your runs or workout. I think I'll give up my purse and wear it to work tomorrow. Winner will be awarded a coupon code for a free FlipBelt. Two winners will get to choose a pair of Pro Compression marathon socks or sleeves. 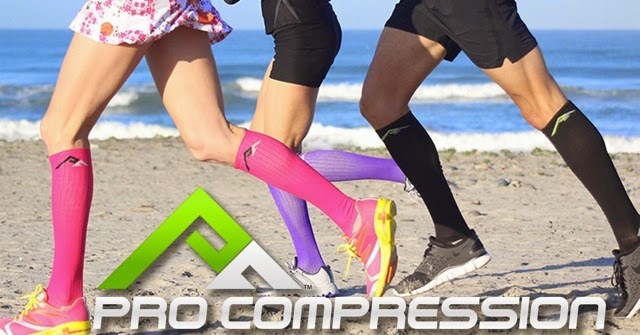 Every runner needs compression socks/sleeves and every fashionista needs them to be pink...but you can choose your color. Plus if you're like me and don't have the patience to wait to see if you won, you can use discount code BLK14 to save 40% off now! Prizes ship from Pro Compression. Oh My Gosh. 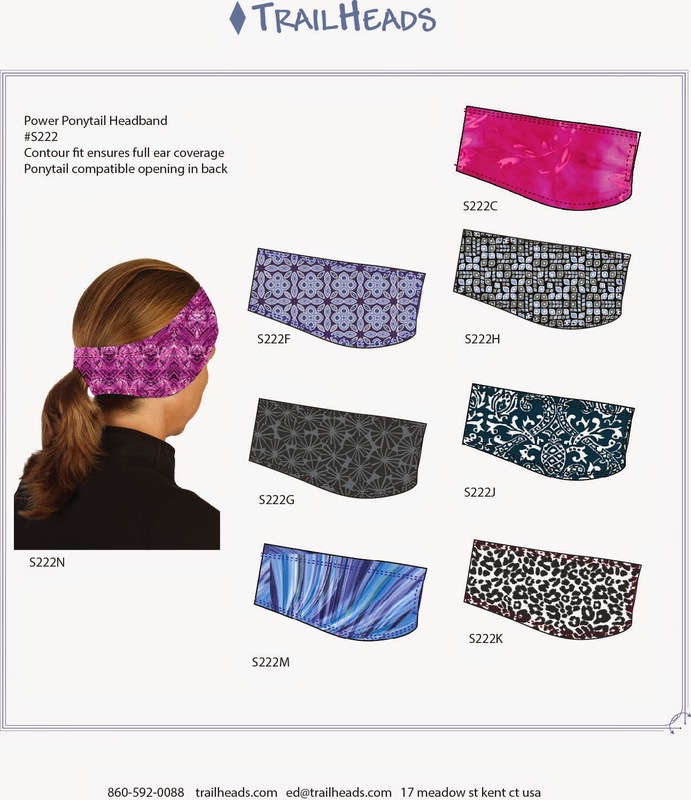 The Trailheads Power Ponytail headband is everything you ever wanted in a running headband: Athletic, fashion forward, and freakin' ingenious with the built in pony tail hole. I need one in every color. It is my birthday, you know. Prize ships from Running with Ollie. Have you ever tried to use your iPhone to time intervals? One minute on, 30 seconds rest? Yeah, it just doesn't work. You end up spending more time worrying about your timer than you do your workout. Gym Boss saves the day with its interval timer that can set multiple times and alarms at once. Great for HIIT, running, planking, and just about everything else. Forget about the timer and focus on the workout. 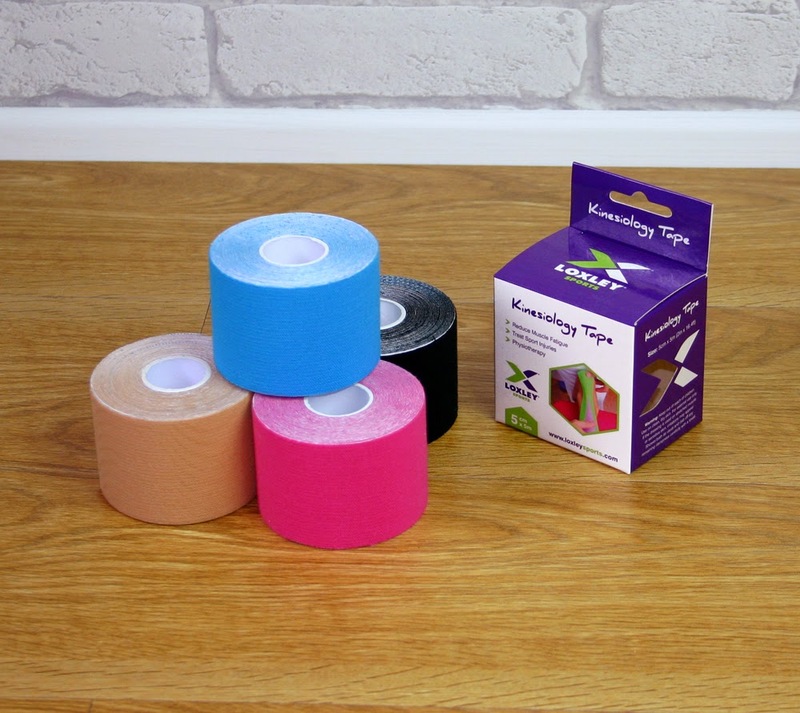 The winner will receive 2 rolls of black and 2 rolls of pink kinesiology tape. As a newly minted old lady (keep the old lady jokes coming) I know all too well the pains of running. I swear this stuff should be called miracle tape. Try it for yourself. You can choose size S-XL. Design is still under development, color and shirt style may vary slightly from what is shown. Especially for you from (me!) Running with Ollie blog. Please allow 4-6 weeks for shipping as prize will be custom ordered. Jay Robb claims to be the best tasting protein on the planet and it's my personal all-time favorite. It's the brand I go back to month after month because of its great taste and natural ingredients. 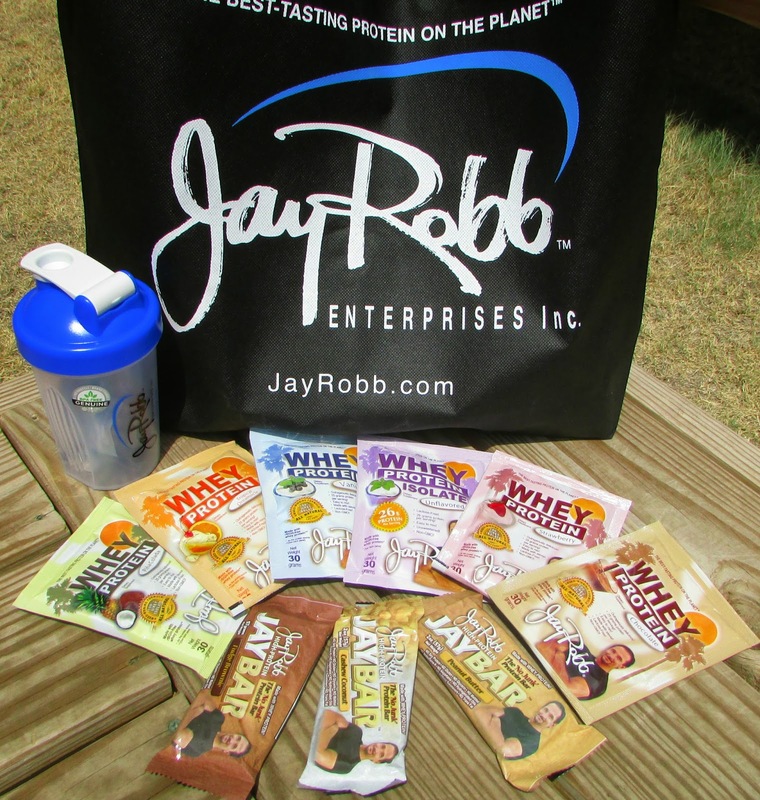 Three winners will receive a Jay Rob protein powder sample pack including protein samples, a shaker bottle and a tote bag. 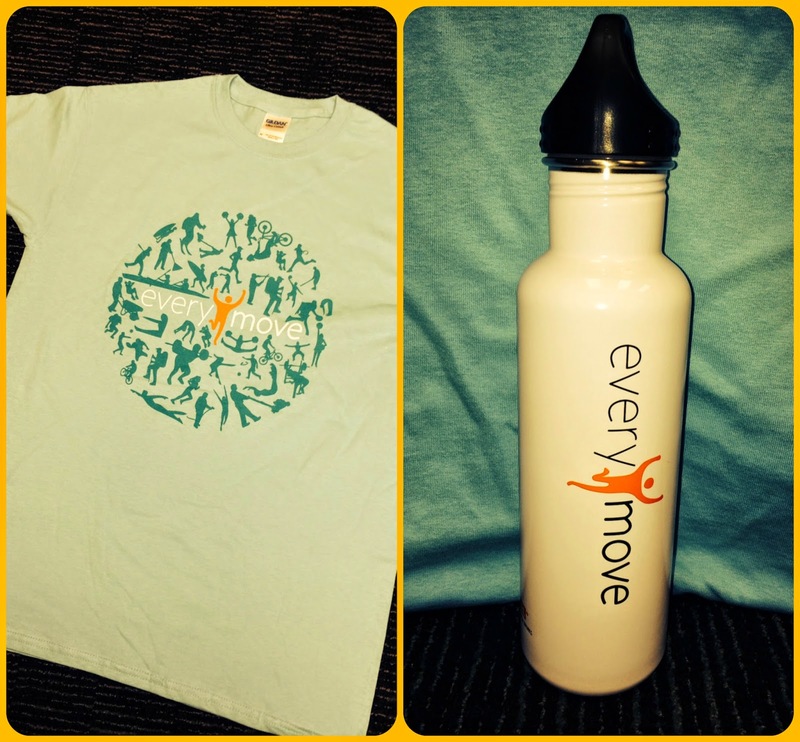 My new favorite fitness app, EveryMove, is offering a EveryMove t-shirt and water bottle. Feeling fitness app overload? EveryMove is the answer. Sync most of your current apps and devices to EveryMove to get all your data in one place. Connect with friends for some friendly competition, and finally, earn points that can be redeemed for discounts from EveryMove partners to reward yourself for all the hard work your doing anyway. win-win-win. What are you waiting for? Ollie says, "Let's go running!" Fourteen winners will be randomly selected via Rafflecopter. If original winners do not claim prizes within 48 business hours alternate winners will be selected. All winning entries will be verified that the required blog post comment was posted. If a winning entry cannot be verified, a new winner will be drawn. ATTENTION BLOGGERS! 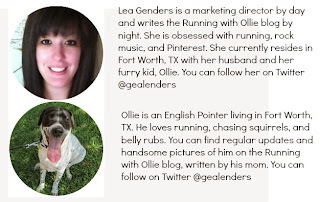 If you are a blogger and you write a race recap about your experiences running in this event please share on Twitter @gealenders #Olliesrunhunt and I will retweet to my 10k followers. I have also created a group board on Pinterest all about Virtual Running. Please send me a request for an invite to pin to this board runningwithollie(at)gmail(dot)com and you can pin any virtual race related posts there and I will repin for you! By running this race, I agree that running or walking a road race is a potentially dangerous activity. I should not enter and run unless I am medically able and properly trained. I assume all risks associated with running or walking in the event. In participating in this event I waive and release Running with Ollie and all sponsors, their representatives and successors from all claims or liabilities of any kind arising out of my participation in this event. I grant permission to all the foregoing to use any photographs, motion pictures, recordings, or any other record of this event for legitimate purpose. I have signed up and challenged a few friends! Can't wait! Happy Birthday!!! So excited to celebrate with you! I love the scavenger hunt idea. What a fun idea, thanks for sharing it! I can't wait to participate!! Happy Birthday!!! Looking forward to participating! Fun and healthy! Let's do this!! This looks like fun! Thanks for including us and have a great birthday! Happy Birthday! I'm excited about this! I've needed some extra motivation to get out the door! Thanks! I'm not sure if my first comment worked...but happy birthday again! Great idea!! I'm signed up and ready to run....as soon as I'm out of my boot for my Achilles. Can't wait to get back to running. And Happy Birthday!! So excited for this challenge! Going to be fun!! I love this! I'm taking a few days off running to let some aches and pains heal up, but I can't wait to run the miles when October 1st hits! Happy Birthday! Planning on getting my run in tomorrow or Tuesday! Happy Birthday! This soundss like allot of fun! Looking forward to this run. I turned 40 in May! Happy Birthday. Hope your event is wildly successful and that you have lots of fun with it. Thanks Elle for your well wishes! You're the best! Accidentally completed it while I was in the groove on my run last night. Yay! This will be my second virtual race! I'm excited to (virtually) run with y'all! I will be completely my run today or Friday!! Happy Belated Birthday!! Happy Birthday! I will be running it tommorrow! Happy Birthday! (Belated, but, hey, it's a two week celebration! Enjoy) I love virtual races. They turn a routine week day run into a game. I'm so excited! And happy belated birthday! This is such a great way to celebrate! This will be my first virtual race yay!!! Aiming to run on Sunday. This is my first virtual race - Glad to celebrate your 40th with a run! 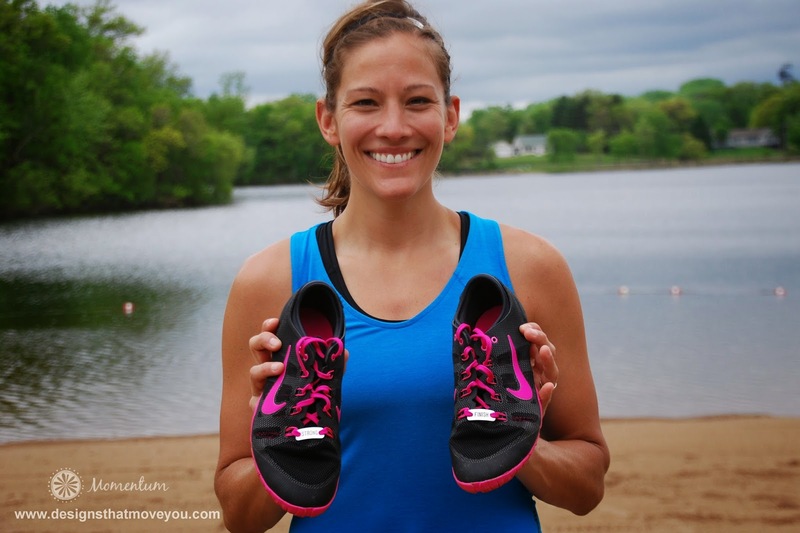 I am so excited to run your virtual race! This is the bomb.com ;) Happy Belated Birthday!!! Happy belated b-day! I've never run a virtual race before so I'm excited that this will be my first one. Just finished my run! This was so much fun! These are awesome prizes and the virtual race was very fun! Thanks for doing this! This is so much fun! I found about your virtual race from seeing it pop up repeatedly in my Instagram feed. The funny part? I went to the wrong website -- Run With Holly -- and spent a very confused 10 minutes looking through her blog (I didn't think Ollie lived in Singapore...?) before I figured it out. I'm excited to participate in the virtual race and wanted to wish you a happy birthday! The forties are pretty badass. ha ha. this is so funny! I was worried when I changed my blog name that people would read it Running Wit Hollie. HA HA. you made my day. Thanks! Happy Birthday!!! Just did my 6.43k (4.0 miles)!! And I had SO much fun with it! Thanks for hosting! Hope this year treats you well with lots of happiness and success! 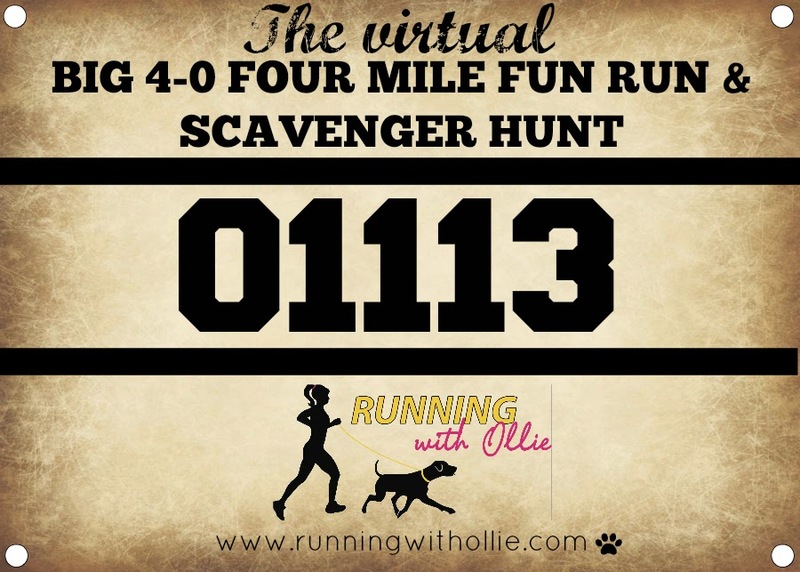 I am so excited about Running with Ollie! Virtually of course. What a great idea! Happy birthday! Can't wait for the virtual run - it's going to be great! Happy happy happy birthday, Lea!! This is an incredible giveaway! All done! what a great way to celebrate! The scavenger hunt is a fun idea. And a fun run is a great way to celebrate a birthday! Happy Birthday! Happy Birthday! Amazing giveaway you've got going! I completed my run tonight! Hope you had a great birthday Lea! As you noticed on Instagram and Twitter, I finished. The ice on my heel WAS to the proof...LOL Thank you for hosting this birthday girl. Hope you had a nice day! ha ha. loved it! you crack me up! I did it! First 4 mile race so it was a PR! Happy birthday! I love virtual runs and can't wait to participate in yours this weekend! Happy birthday. Virtual run completed last night as part of my half marathon training. It is my first one! Thanks for hosting a virtual run! I'm still too shy and maybe not even physically fit enough to compete in front of an audience! So things like this help me get out and try my best! You're awesome! Thanks so much for joining us!!!! It's rainy and I didn't want to get out of bed, but I couldn't push it to the very last day! Did my 4 miles today! Happy (belated) Birthday! Thanks, aph! Hope you're doing great! What do you mean? Can you just hashtag #olliesrunhunt on Instagram or twitter. Let me know if you need help or have anymore questions!!! These are awesome prizes! Happy Birthday! Happy Birthday! And thanks for the opportunity to put a little more fun into my run. So happy to be apart of #olliesrunthunt! happy birthday!!! otherwise. And I know my pup Chloe enjoyed herself - she was galloping like a baby horse through the high winds having an absolute blast. Happy Birthday. What a fun idea. Wow I know i didntenter every day, but it seems to think I did. Do I get another entry for running it again? It's ok its just a fab giveaway lol! But thanks for the awesome idea and happy bday Lea! This was so much fun! Thanks for hosting this! :) And Happy Birthday!!!! Thank you for your clear explanation of virtual running! We find when runners/walkers take time to understand the concept they think it's terrific! Especially in between bigger road races to stay motivated. We would love to be added to your resources too! MISSION ACCOMPLISHED VIRTUAL RUNNING at www.missionaccomplishedvirtualrunning.com. Registrations secured through PayPal. If we don't deliver, you receive a full refund!